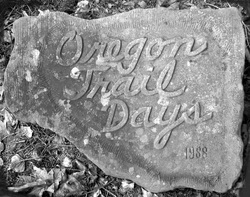 Oregon Trail Days is an annual event hosted by Puget Sound Free Trappers and the Tenino Area Chamber of Commerce. The event offers a parade, a rock and gem show, black powder shoots, vendors of all kinds, and lots of food! Always the 4th weekend of July, come and check it out!